With support of OPC UA, the software Crimson 3.1 acts as a server to publish data for OPC UA clients, often from the shop floor to the data center. With the ability to converse with over 300 industrial protocols, Crimson 3.1 can bring in data from disparate automation devices, converting it to OPC UA for delivery to enterprise business systems simply and easily. 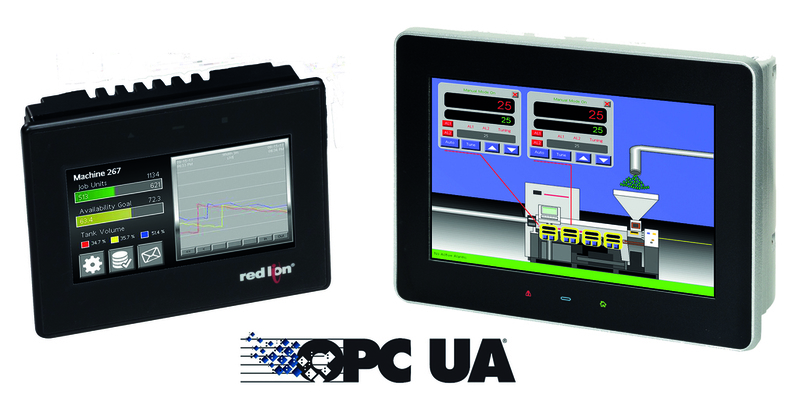 Today Crimson 3.1’s OPC UA Server works with all Red Lion Graphite HMIs, Graphite Controllers and CR3000 HMIs. Crimson 3.1 software features support for many additional Ethernet and Serial drivers such as Ethernet/IP, DNP3, Modbus TCP, Modbus RTU and many others. With an intuitive, drag-and-drop graphical user interface and a variety of hardware offerings each supporting multiple simultaneous conversions, customers can easily integrate new functionality into virtually any PLC, PC or SCADA system.